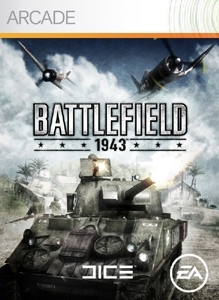 Battlefield 1943 explodes onto Xbox Live Arcade with the Coral Sea group challenge; this 4th location will unlock after a cumulative 43 million kills are recorded on the original three maps! Coral Sea features the new game mode, Air Superiority, which will put your dog fighting skills to the test. Become the Ace of the Pacific this Summer!